For today's blog post, I have the July Polish Pickup shade by Ellagee to share with you! 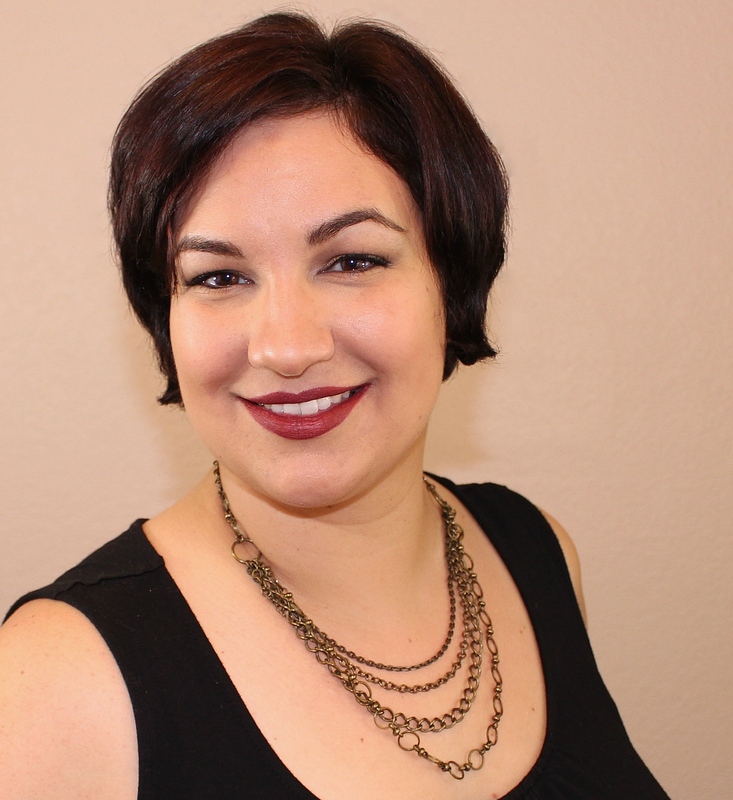 The theme for this month's shop is "Cocktails & Mocktails", and Laura's contribution is inspired by and named Hard Cider. 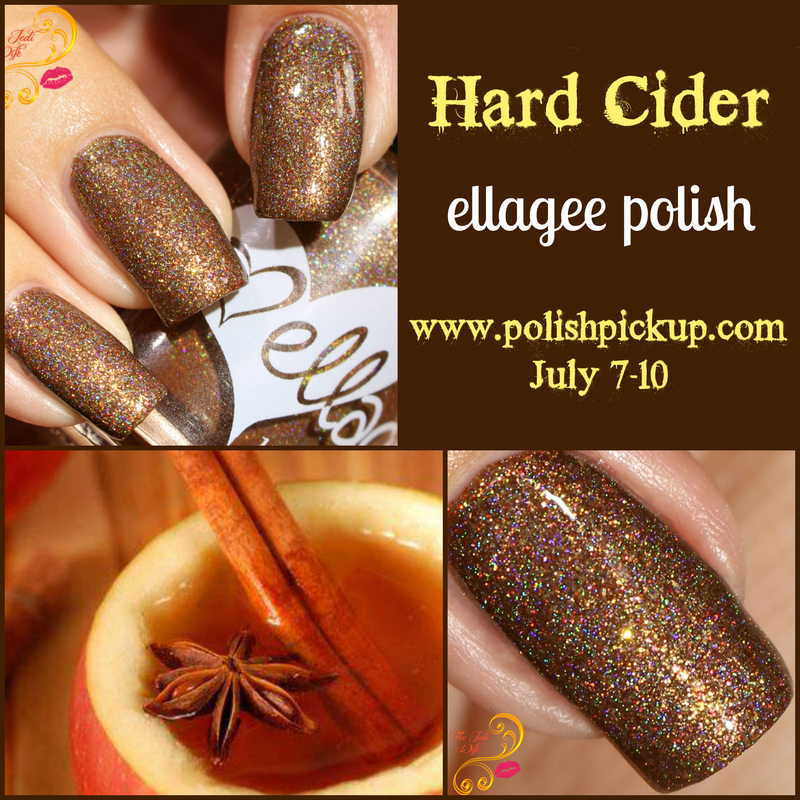 Hard Cider is a beautiful brown holographic polish with copper and gold microflakes. This polish is evocative of fall, so if you're already eager for the weather to cool down or for Halloween to be here, or if you just love brown polishes, Hard Cider is sure to win you over! I found the formula to be really smooth and easy to work with. It's not too thick or thin for my personal reference and is nicely pigmented. I used two coats for opacity before topping my nails off with top coat for the photos shown here. Hard Cider and other polishes created for July's Cocktails & Mocktails-themed Polish Pickup can be purchased from the Polish Pickup website located here. The shop will be live from Friday, July 7th at 11am EST until July 10th midnight EST. Please note that the shop will ONLY be open during this time, so if you want any of the polishes from the July Polish Pickup, please mark the dates on a calendar so you can get those orders in! Also to note, all purchases are made as a pre-order. Please allow two to three weeks after the preorder has closed for polishes to be shipped to you. Choose as many or as few shades as you want! Are you excited about the July Polish Pickup? Have you seen other offerings that you need? I'd love to hear from you! I love these boxes! I love how it's create your own box - the only thing I don't care for is that i have no self control! HAHA :) This one is so stunning, it makes me want to snuggle next to a warm fire. What a great idea for a box. I've skipped boxes because I didn't want all the polishes. I'm a sucker for a good brown. This is SOOOOOOO good! 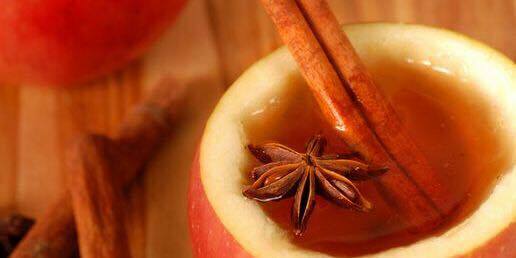 Mmmm this makes me CRAVE fall! I love the warmth of this so much - it honestly makes me want some cider! every month is the best month. Gorgeous swatch and polish. Another great theme this month!